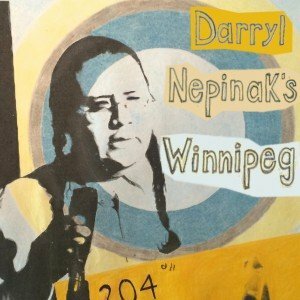 Darryl Nepinak burst onto the Winnipeg filmmaking scene in the early 2000s and has since created a radical canon of satirical short films that are as big-hearted as they are scathing. Socially engaged and committed, Nepinak exemplifies the filmmaker as community leader and social critic, one who is mercifully seeking cartharsis and understanding through satirical humour. Armed with the acid wit of a Dave Chapelle, the optimistic irony of a Michael Moore, and the absurd burlesque of a John Landis, Nepinak explores themes of cultural property, systems of Aboriginal image-making, the singularity of Aboriginal life and the intricacies of inter-cultural misunderstanding in our beloved and troubled Winnipeg. 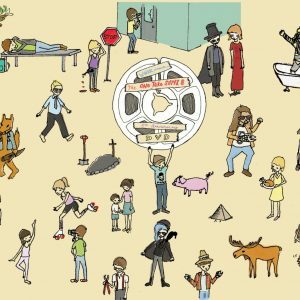 Working variously in found-footage collage, docu-fiction, animation, mockumentary, music video and comic sketches, Nepinak’s filmmaking trajectory is both deeply challenging and resolutely upbeat. Beloved from the Berlinale to the banks of the Assiniboine and back again, the richly entertaining and unrelentingly hilarious films in this collection bespeak the arrival of one of the great voices of Winnipeg film history, a true satirical visionary who has a lot to tell us.